The whole restaurant is non-smoking. Smoking is permitted outside. We are Closed Mondays- please visit our sister restaurant River Stone Chophouse. There is ample parking in front of the restaurant and overflow parking across from the restaurant at The Shoppes on the Village Green. Check out our website or Facebook for more information regarding events! Now open since April, 2006, Vintage Tavern at Governor's Point. Located in the hunting and fishing community of Northern Suffolk, Virginia the restaurant features 'Seasonally Southern' fare. The menu highlights the best of local and regional Southern dishes and recreates them with authenticity and passion. We are committed to maintaining the food history and culture that makes our community so special. Other features include a dramatic open kitchen, two dining areas both with fireplaces, an outdoor fire pit, outdoor dining on the covered veranda and a 400 plus selection wine list. The perfect place to celebrate a birthday, anniversary or any special occasion. Voted #1 by Hampton Roads magazine 2006-2014 Platinum Plate Awards. Recognized by Open Table as one of America's Top 50 Restaurants in 2009-2016, and by Sante magazine for Wine Hospitality in 2010. We have held Wine Spectator Award of Excellence since 2006 and 2015-2016 The Two Stem Award of Excellence. The elk chops are out-of-this-world! 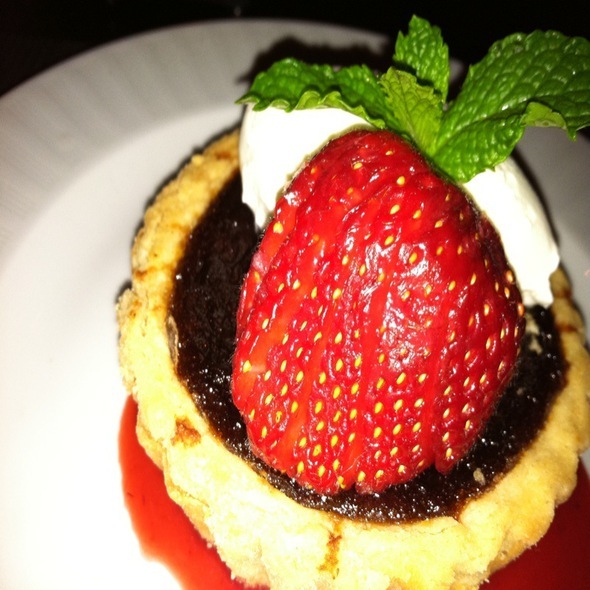 Vintage Tavern provides a fabulous dining experience! 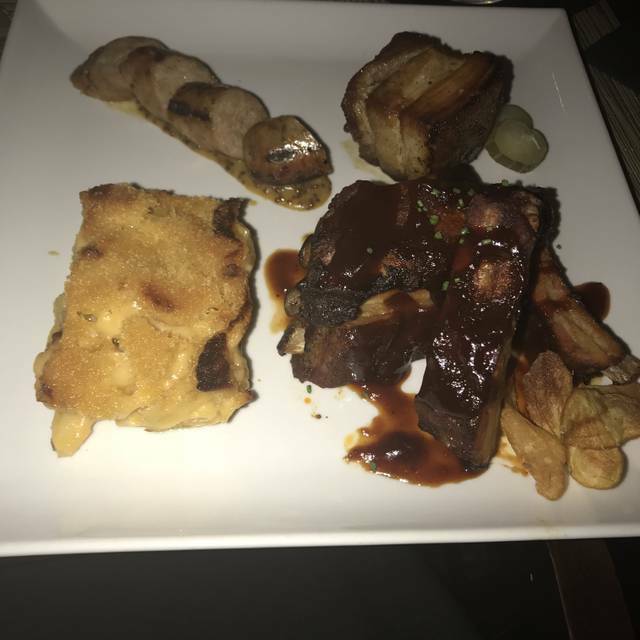 Great food great ambience kind of loud with people talking and food prices were just a bit on the high side but overall it was definitely a 5 star dining experience! Food is very good, staff is very accommodating. The server we had last Friday was excellent. Prices are a little on the higher side, but food quality makes up for that. Servers are very cognizant if we are on time restraints. Great food, great service. Went there for anniversary and received very nice service and recognition of event. Somewhat pricey but they do a nice job. Weekday ambiance was perfect for quiet celebratory dinner. We went there for the first time for my husband's birthday and it was perfect 😁 Great quality food and caring staff. Will go there again for sure! My wife and I enjoy the excellent food, professional and friendly service and great ambiance. Very enjoyable place for an evening out. We had a wonderfully quiet and relaxing dinner experience. The service was perfect, the food was amazing and the ambiance was very charming. We will be back with friends and family often. The food was amazing and our server was fantastic! We sat by the window on a bench. The table was tiny and our neighbor (less than 18” away) talked incessantly. $200 anniversary dinner and had to eventually move when it was time for dessert because of this obnoxious guest. Sitting next to him at a regular table would not have been so bad. Waitress was great and food was really good but for the money, seating is horrible. 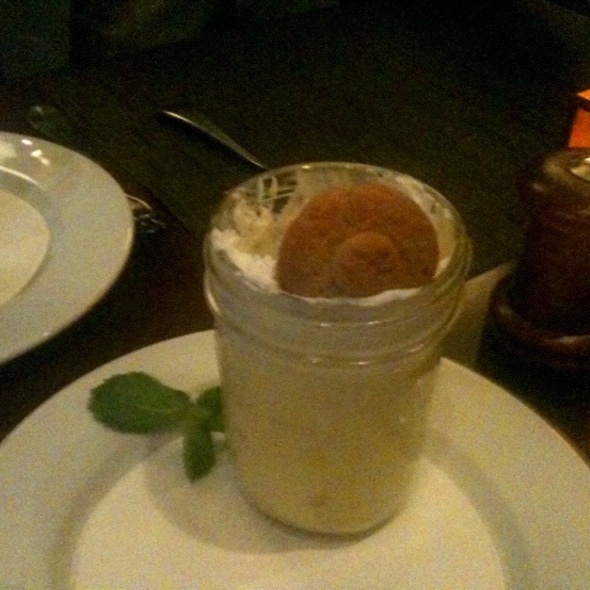 The food was not exactly up to par, but the dessert was amazing and the drink menu was great! My favorite part was the wait staff though. They made us feel so welcome and worked so hard to make our date beautiful. We loved it! As usual, we had another outstanding meal at this restaurant. Highly recommend it!! Perfect romantic dinner for me and my wife on her Birthday! We have recommended family and friends to dine with you!! Can't wait to see you all again soon!!! Very nice for catch up with a friend. Enjoyed cigars outside after dinner! 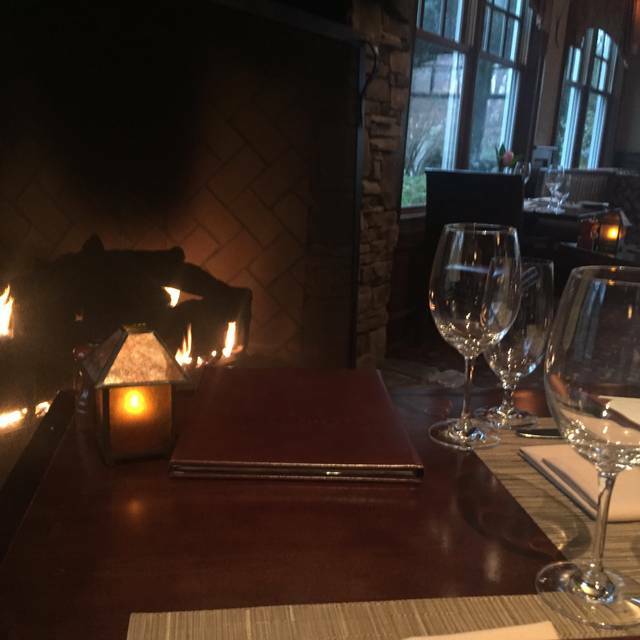 Went to dinner on a Tuesday, and was seated near the fireplace. Our server was friendly and attentive (although stopped by a little more often than necessary). The food was delicious, the wine great, and overall a great experience. My only comment would be to request a vegetarian entree, instead of one having to piece together a meal with sides. Vintage Tavern is one of my husband and my favorite places for a quiet, romantic dinner. 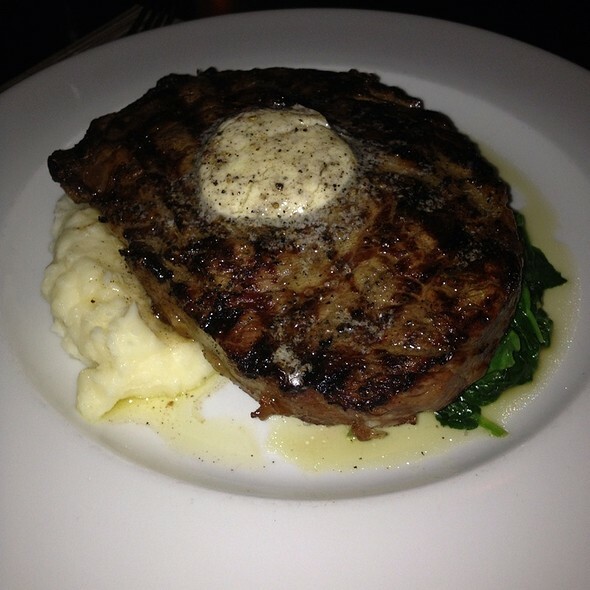 Our meal was perfect, our service (Dr. J) was outstanding as always. The only problem is that now there is a bar in the formal dining room which definitely takes away from the romantic ambiance that used to be. Hearing men cursing, high-fiving and just being rowdy is not what I want to experience at a nice dinner with my husband. This makes me so sad! Everything was excellent at Vintage Tavern with the exception of the bar TV that was in the main dining room. It was a distraction during dinner and took away from a great dining experience. Move the TV to the bar area out of the main dining area. The food was exquisite, the atmosphere was perfect for an intimate gathering and the entire staff was courteous and welcoming. I will undoubtedly be returning to dine. My only complaint is that I had not dined here before. Suffolk's finest! And arguably one of the best in Hampton Roads. Superb service coupled with delicious food and wine in a warm comfortable setting. 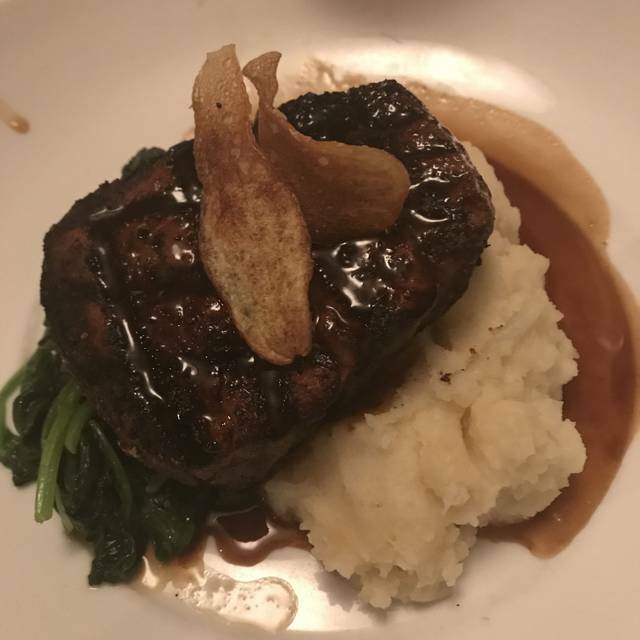 My wife and I had the pleasure of dining at The Vintage Tavern this past Saturday night, March 2, 2019.
with the food, ambiance, and the outstanding service of the wait staff. On this visit, Sam, our server, did her usual fantastic job and was very attentive, very friendly, and provided excellent service! If you have never had the pleasure of this dining experience, you owe it to yourselves to experience it first hand. My wife and I highly recommend this establishment and have done so many times. Reservations are highly recommended. 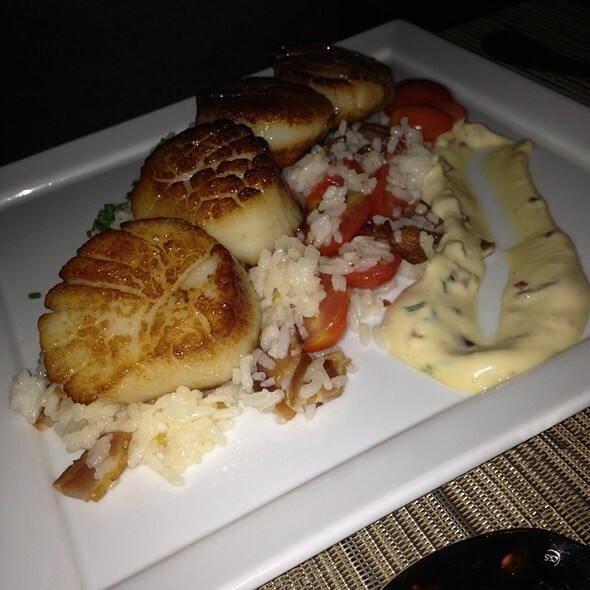 Vintage Tavern is one of our absolute favorite places to eat! Always the best food and the best service!! It is our go to for special occasions or just a night out. Never a bad meal. Highly recommend! Our server was friendly and attentive. My wife’s cosmo was excellent and my flight of 3 beers excellent. Their happy hour menu and bar selections are very reasonable. Our nachos and seasonal flatbread were both delicious. Thanks Vintage Tavern for a pleasant dinner. So you will spend some money, but it was well worth the price. The elk chops almost melt in your mouth! They we so delicious! They even made a menu with our names and happy anniversary printed on it. The little things made it a very pleasant experience. The only issue I had was with the lady a few table over who believed everyone in the room wanted to hear her life story, but that isn't the restaurants fault. We typically eat in the bar and the service can be hit or miss. Tonight was a miss. Having the bartender and server and other staff wait on us made service confusing and disruptive. The staff are always very pleasant, but better coordination is needed. Our bread didn't come out until after our appetizers had been served. I could attribute this to the recent ads for hiring more staff, but overall they were not busy at all. Hopefully, they can get a better handle on the service. We want to become loyal regular patrons. The food is always excellent. My husband loves the burger and fries and is really looking forward to the return of the Bison burger. Every visit to Vintage Tavern is wonderful. Always good food, and attentive service from terrific staff. This fine dining restaurant is truly a GEM of great perfection. The atmosphere is Relaxing. The servers are Extraordinary. The dishes are Exquisite crafted by Professional and Proficient CHEFS. The wines are Superb. No matter how high your Magnificence is they will make your evening SU-PER-CA-LI-FRA-GIL-IS-TIC-EX-PI-A-LI-DO-CIOUS (Extraordinarily Good, Wonderful). A special note to all on Wednesdays ordinary chicken becomes Miraculously Amazing Fried Chicken. You gotta try it and also the Elk. We liked the food and the ambience. The pace of service was outstanding. However, our server was very condescending towards us. Im a restaurant manager and I know how to act in a nice place like this, but the waiter acted like we didn't belong. We probably will skip this the next time we want to dine out and try something else. My new favorite in Tidewater ... amazing wine selection and best ambiance around. My only suggestion would be slow down the service, prolonging the nice experience. Place was very nice, and the food was good. The sauce for the ribs was ok I’ve had better, but the ribs themselves were good. Also ordered was the steak, which was good, but a little tough. I still don’t have any complaints about this place, we’ve been there 3 times and each time has been good. Service is very good and we just love the rustic atmosphere of the place. Everything was absolutely amazing, from the hostess to the wait staff and then the food was exceptional! Highly recommend this place, fantastic place for a date night or a special occasion. Food was delicious, however, I had no idea that the Valentine's menu was different from normal. I would not have made reservations had I known this. It was only advertised from OpenTable that I can find, not on Vintage Tavern's website; and since I just did my res from google, I never saw that it was different. I'm so sorry that vintage Tavern is not what it used to be. The recent renovation has crowded the dining room and greatly increased the noise level while loosing ambiance. It's feels much like a cafeteria. By the time we were seated they were out of two of the three selections for dinner. To top it off, we received 1/2 teaspoon of butter with our tiny pieces of bread as they explained they were running out of both. Very disappointed and hate to lose the once top notch restaurant. It took three hours to get to the third course of our five. We left with two courses in a bag and they managed to get that wrong. I paid over a $100 per plate for lettuce and salty chicken because they ran out of everything. Don’t advertise what you can’t deliver. I felt sorry for the wait staff... they were embarrassed. Couples ( I witnessed 4 around me) left with bags of unfinished meals at 11:30 pm ... reservations were for 7:00, 7:30, and 8:30 around us. You owe the public an explanation. 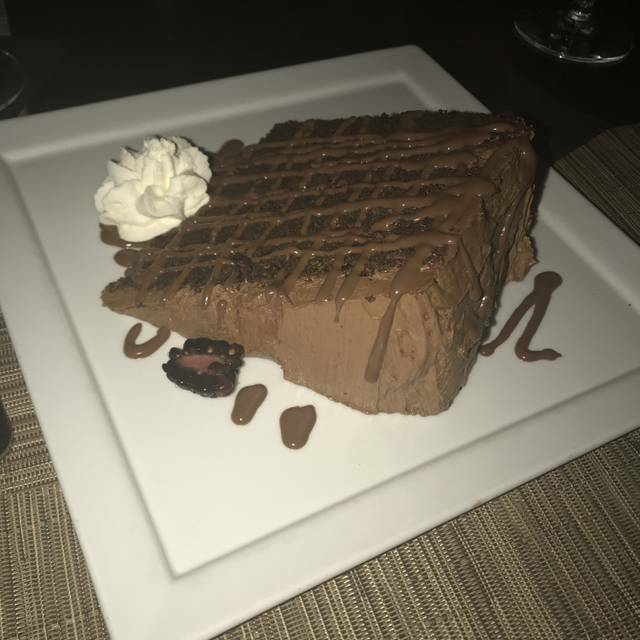 Valentine’s Day- this is one of my favorite restaurants - the food and the service are normally amazing but on this night it was somewhat disappointing. It took on hour to get our second course and it was a limited 5 course menu - we arrived at 8 pm so it was 10 o’clock when we received our entree. Food was amazing and Samantha our server was very attentive and aware of the issue. Superb food and service. It was Valentines Day so it was a bit hectic and the kitchen got a little backed up but it was still a very enjoyable evening for my wife and me. We were seated upstairs and our server, Samantha K, really hustled with food and drinks on the stairs. She was a STAR! I’ve been a long time customer, but will not be joining them again. We had a 7:30 reservation, made days in advance that was not honored. When we questioned it we were told to take first come first serve seating in the bar. We waited a little longer and a table became available. We sat down and were ignored for 10 minutes before a hostess came over and asked us to give up our table because they were reserved. They were unwilling to hear me out that we had a reservation and were told to take a first come first serve table. This truly ruined Valentines Day and embarrassed us greatly as we were asked to give up our table. Food was excellent. Little bit overpriced. Overall, it was very good and the wines were very good. 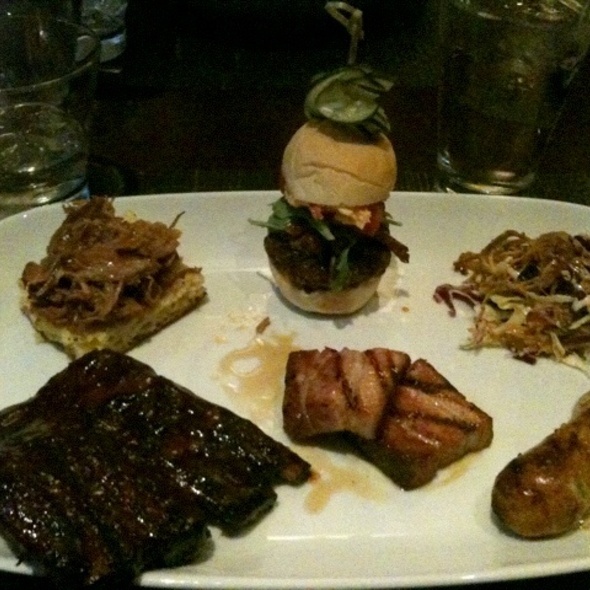 We dine out frequently, and this was our first time at Vintage Tavern. The occasion was dinner on Valentines Day. In as much as the food was good, quite honestly we are not fans of “pre-planned” limited menu offerings for holidays. We were hoping to order what we really wanted, off the regular menu. Additionally, the # of courses offered equated to, too much food and an overly inflated price for dining out. We will try Vintage Tavern again, but not on a holiday. We enjoyed our Valentines dinner at VT. It did however take a long time between courses, maybe that’s on purpose? The ambiance was nice, the food good and the service was good too.